We have information you must know before you buy the Escalade. Supplies of the 2019 Escalade are good relative to demand. As usual, the upper-level Premium Luxury model makes up the bulk of dealer inventory. The mid-level Luxury is harder to find, and the Standard model doesn't seem to exist. The line-topping Platinum remains rare and often commands a premium price. Current factory offers will remain in effect until April 30, 2019 and are available nationally unless otherwise noted. Cadillac usually doesn't run specials for Memorial Day. For the second month in a row, Cadillac is offering a $5,000 rebate on the 2019 Escalade to all buyers. That's well above average for this model. In addition, current customers of non-GM brands are eligible for a $3,000 conquest bonus, which is also higher than usual. Once again, you can lease a 2019 Escalade in Luxury 4WD trim from $819 for 36 months (10,000 miles a year) with $8,970 due at signing. With an effective monthly cost of $1,068, this lease falls short of a good value in our book. That said, it's still the best Escalade lease so far this model year. In place of the standard rebate, Cadillac offers promotional financing ranging from 0.9% for 36 months to 2.9% for 60 months. You can combine these rates with the $3,000 conquest bonus if you qualify. Promotional APR Offer Promotional APR programs available for qualified buyers. Please check with your CarsDirect Trusted Dealer for complete details.%NotesManuf% %Eligibility% The GM Financial alternate APR financing parameters in this message are "only" available for qualifying customers. EligibilityThe GM Financial alternate APR financing parameters in this message are "only" available for qualifying customers. 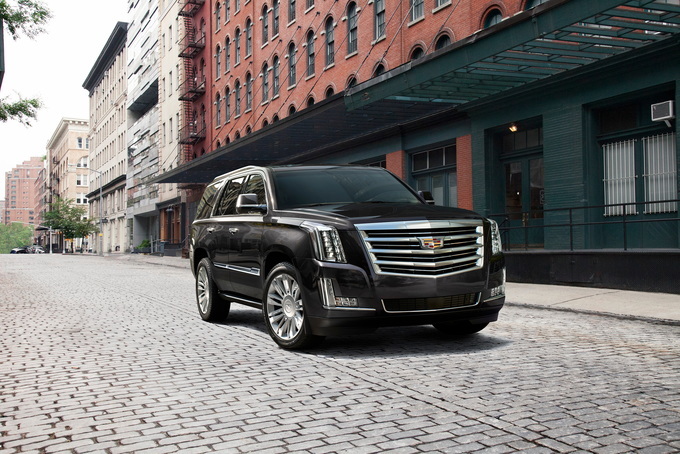 Despite bones that are beginning to age, the Escalade remains a bestseller among luxury SUVs. It has good reason to boast—with a versatile feature set and the same brash personality that won America’s heart, the 2019 Cadillac Escalade remains a strong bet. The 2019 Escalade returns with only minor changes. Exterior colors see minor tweaks, a hands-free tailgate with logo light is now standard, and a new Sport Package adds aesthetic upgrades. All Escalades share a heart: a 6.2-liter V8 pumping out 420 horsepower and 460 pound-feet of torque. A ten-speed automatic transmission sends power to either the rear wheels (standard) or all four (a $3,000 option). Mileage is predictably mediocre: rear-wheel drive models manage an estimated 14 mpg city, 23 highway, and 17 combined, while all-wheel drive drops the highway mileage a few more notches. On the plus side, a towing capacity of up to 8,300 pounds is a welcome perk. Base cargo space is only adequate at 15 cubic feet behind the third row, but the long-wheelbase ESV fixes that problem by adding 24 more. Otherwise, the cabin is spacious and well-equipped, boasting standard features like ambient lighting, three-zone automatic climate control, heated front and (outboard) second-row seats, and a built-in WiFi hotspot. Other features are distributed across four trims: Base, Luxury, Luxury Premium, and Platinum. Escalade prices rise slightly for 2019, and the base model now starts at $76,490 after $1,295 in destination fees. Despite being the cheapest of the lot, the base Escalade is still lavish. Standard features include LED head and taillights, 20-inch alloy rims, the new hands-free tailgate, rain-sensing wipers, and remote start. The interior features an auto-dimming rearview mirror, a rearview camera, a heated and leather-wrapped steering wheel, wireless charging, and front and rear parking assist. An eight-inch touchscreen handles infotainment, aided by Apple CarPlay and Android Auto compatibility, standard navigation, and an elaborate Bose sound system. The only package available at this level is the Radiant Package ($3,130), which adds a few aesthetic bonuses in the form of 22-inch wheels, a silver mesh grille, and a polished exhaust tip. Significant standalone options include the 22-inch wheels ($2,995), upgraded front brakes ($2,795), a rear seat infotainment system ($1,995), and the polished exhaust tip ($140). Next up is the Luxury trim, which starts at $82,090. It adds the 22-inch rims, a rear camera mirror, a head-up display, power second-row seats, a power sunroof, and beefed up security features. The biggest addition is a Driver Awareness suite of safety features, which includes collision alerts, lane keep assist, blind zone alerts, rear cross-traffic alerts, low speed automatic braking, and automatic high beams. Packages and standalone options remain the same as the base trim. 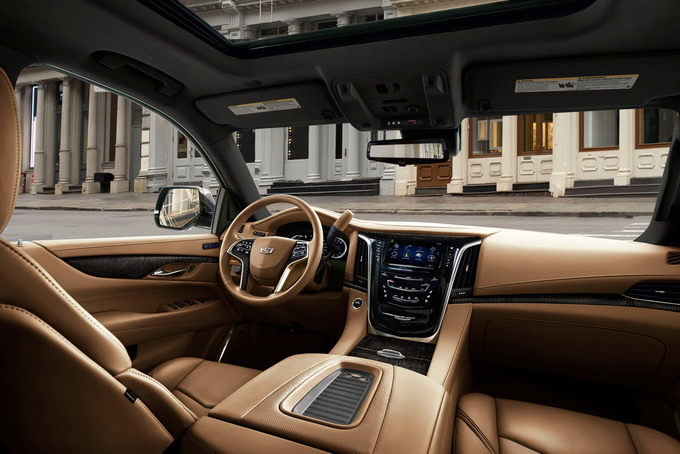 Starting at $86,490, the Premium Luxury trim continues to add technology. Adaptive cruise control, forward and reverse automatic braking, and automatic seat belt tightening join the list of safety features. The rear seat entertainment system comes standard, and the exterior gets cornering LED headlights and illuminated door handles. Where non-standard, options remain the same. The range-topping Platinum trim (starting at $95,590) gets swathed in leather and luxury. Premium semi-aniline cowskin lines the seats, and the leather extends to the instrument panel, center console, and door trim. The front seats get 18-way power adjustability, and the center console includes a cooler. Chrome accents decorate the exterior along with power-retractable assist steps. The rear entertainment system gets dual screens in the front-seat headrests. The Radiant Package (along with most exterior paints and standalone options) is included on this trim. The Luxury trim is the sweet spot for features, granting access to both luxury and safety without too much of a price premium. The Platinum trim is luxurious, but even base Escalades will be plush enough for most buyers. The 2019 Cadillac Escalade is a full-size luxury sport utility vehicle, one of the most noteworthy of its kind. Its reputation precedes it, a model noted for its eye-catching design, strong V8 engine, and superior ride quality. The Escalade also offers robust towing ability, but it also guzzles premium unleaded gasoline like a drunken seaman. In a niche segment, the full-size 2019 Cadillac Escalade leads all comers. This model seats up to eight passengers and comes with standard rear-wheel drive or available four-wheel drive. Cadillac offers the 2019 Escalade in standard and extended wheelbases. 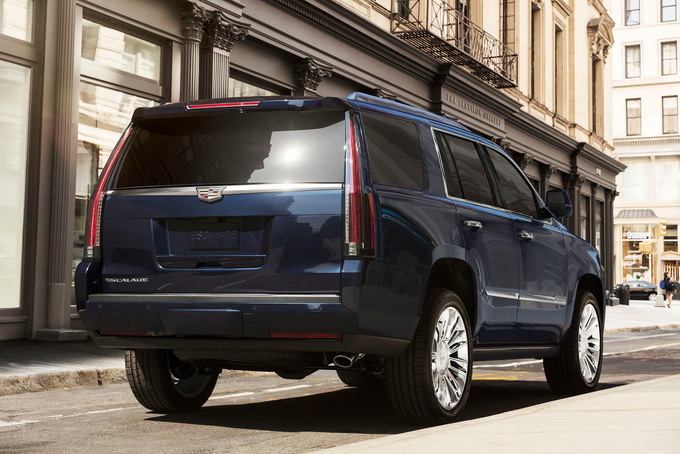 It comes in four trims: base Escalade, Luxury, Premium Luxury, and Platinum. All models have a 6.2-liter V8 engine with 420 horsepower and 460 pound-feet of torque. Cadillac pairs this engine with a 10-speed automatic transmission. The 2019 Escalade has a tow rating of up to 8,300 pounds. That equals the Lincoln Navigator, yet it's more than the Lexus LX 570, Mercedes-Benz GLS, and the Land Rover Range Rover. Standard features include LED headlights and taillights, integrated assist steps, 20-inch alloy wheels, and a hands-free power liftgate. Inside, this SUV comes with 12-way power-adjustable, heated and cooled front seats, leather seats, a power tilt-and-telescopic steering column, and power fold-flat third-row seats. Other features include a 16-speaker Bose audio system, a WiFi hotspot, a surround-view camera, and automatic parking assist. Our pick is the Escalade ESV in Premium Luxury trim and four-wheel drive. This pick catches our attention as it includes a rear seat entertainment system and a driver assist package. The longer length is ideal for the additional cargo room. We think four-wheel drive offers the handling edge on slippery roads families demand. 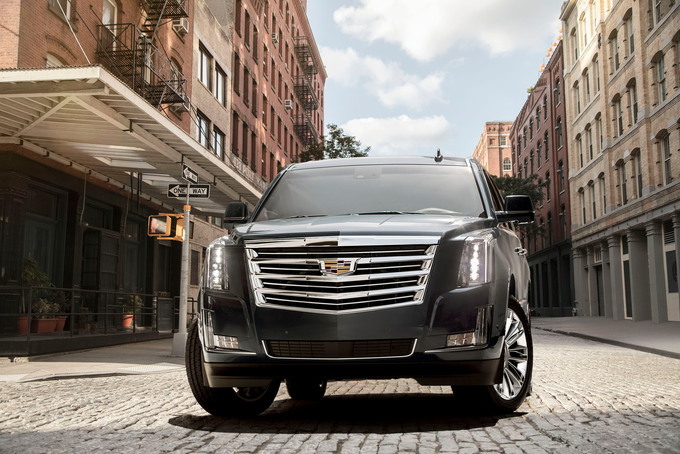 Cadillac offers one engine and transmission combination to form the Escalade’s powertrain. The 6.2-liter V8 is the largest gasoline engine offered by GM and it bangs out 420 hp and 460 lb-ft of torque. Yet, that’s less power than the twin-turbocharged V6 engine found in the Lincoln Navigator. Cadillac pairs this engine with a 10-speed automatic transmission. The Cadillac powertrain is strong and never flags in zeal. Indeed, between its robust step-off acceleration, strong passing power, and capable towing, this engine is a true workhorse. The transmission is properly matched here too, serving up gears quickly. The downside is the Escalade guzzles gas, and premium grade fuel at that. The ESV has the 31-gallon fuel tank to accommodate your weekly $100-plus fill-ups. That’s five more gallons on tap than the standard model. The Cadillac Escalade is derived from GM’s full-size truck architecture. As an SUV, it shares its platform with Chevrolet and GMC models. From there, the canvas is far different as Cadillac gets its own sheet-metal to dress the Escalade. Upfront, the Escalade’s fascia features an oversized grille flanked by equally outsized headlights with LED accent lighting. If that look doesn’t get your attention, the rest of this massive model will, from its broad hood, long profile with massive wheel wells, and a rear fascia with boomerang taillights. The look may be too over the top for some, but it makes a strong statement. Adding to the effect is the chrome trim touches and surround. If you think the exterior is dazzling, the interior is what clinches it for many people. The cabin seems wrapped in leather nearly everywhere – across the dashboard, around the center stack, on the doors, and on the seats. The Escalade ESV is the better of the two models available as it has superior third-row leg room than the standard model. The amount of cargo space behind the third-row seat should please families or anyone needing extra room to house their gear. 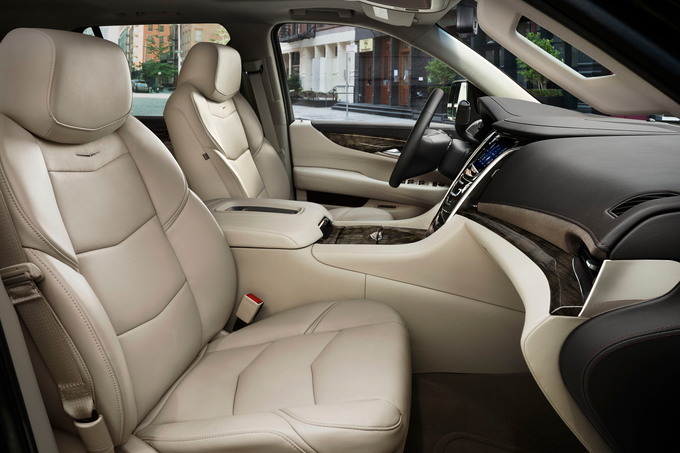 Nothing about the Escalade’s interior suggests anything less than luxury. Full power accessories, including the tilt-and-telescopic steering column, front seats, and the power-fold third-row seats are just a start. 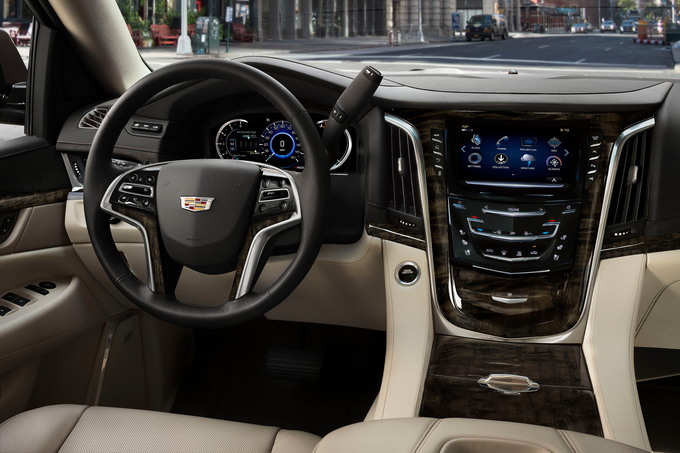 Ambient lighting, plush seats, and advanced technologies underscore the strength of the Escalade and are style elements in their own right. At the end of the day (or following your long trip), the Cadillac Escalade keeps everyone comfortable. Its ride is about the best you’ll find among any model anywhere. You’ll pay big for an Escalade, too. Even the base model is priced high. As our sample model build shows, it isn’t that difficult to approach six figures for this vehicle. The 2019 Cadillac Escalade is right for anyone who wants to show off to the world their wealth. It's an ostentatious, luxurious, and even a bit intimidating package. On the other hand, if you’re put off by its gauche style, there's little you can do about it, except maybe consider the GMC Yukon XL Denali instead. Nearly two decades after its introduction, the 2019 Cadillac Escalade continues to set and maintain the bar in the segment. Lincoln is chipping away with the new Navigator, but Cadillac has years of loyal customers who continue to return to the brand. The cost is not cheap, but if you’re seriously considering buying one, money is hardly your concern. We have partnered with trusted dealers in your area to give you a great price on the new Cadillac Escalade.